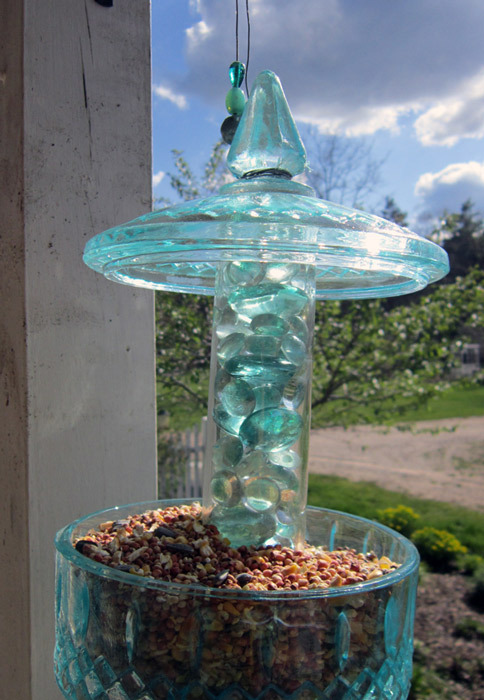 20+ Unique Bird Feeders ~ With the arrival of spring, it means lots of birds will be migrating back! YAY! 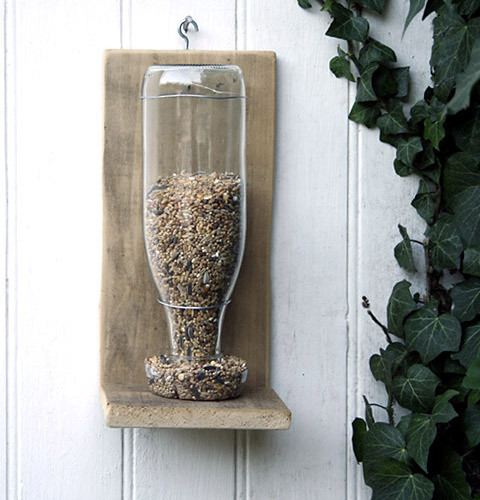 I want to be prepared for their arrival and by greeting them with gorgeous bird feeders. I put together a special collection of unique bird feeders that I’m sure you’ll all enjoy. 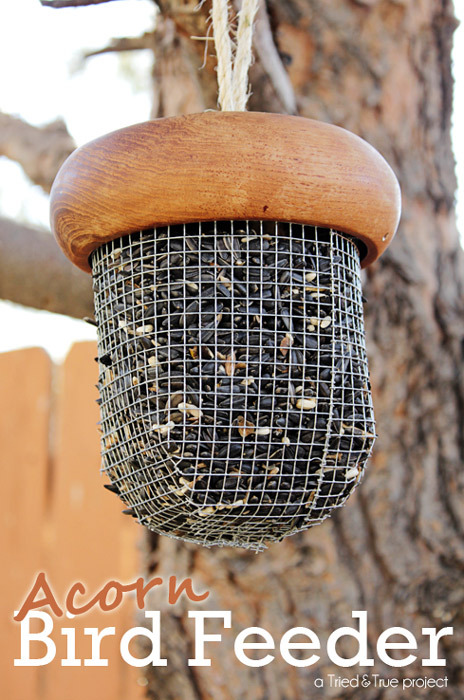 DIY: Summertime Bird Feeder from Moorea Seal. 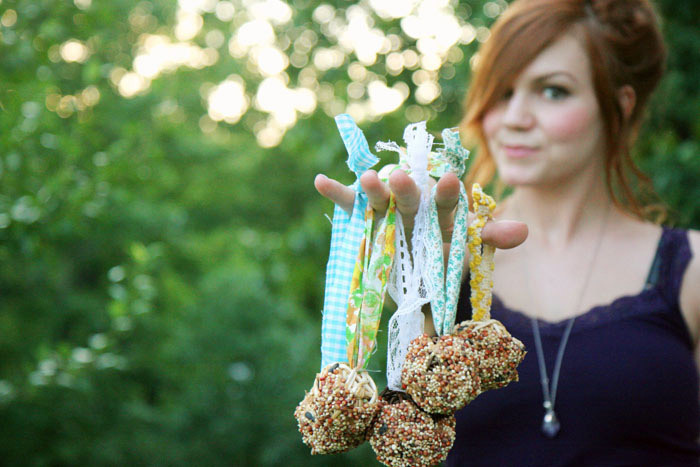 DIY Bird Feeder from Erin’s Creative Energy. Bird Feeders from eighteen 25. 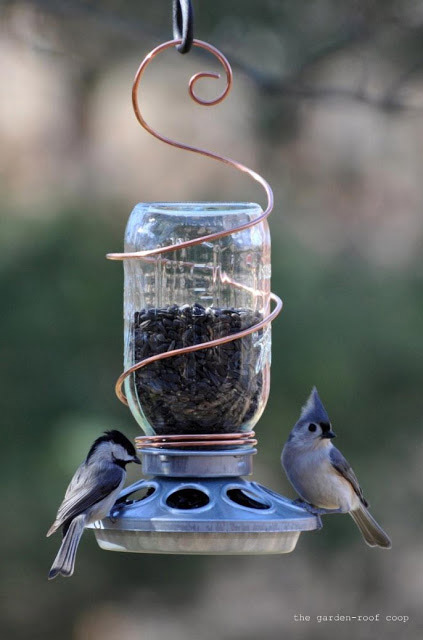 DIY Candy Jar Bird Feeder from Second Chance to Dream. Soda Bottle Bird Feeder from Here Comes The Sun. 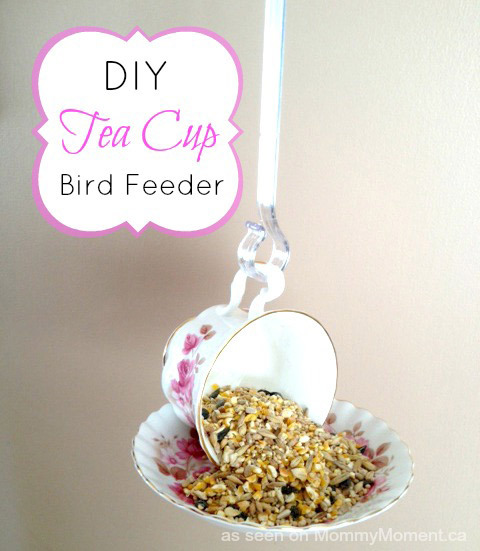 DIY Tea Cup Bird Feeder from Mommy Moment. 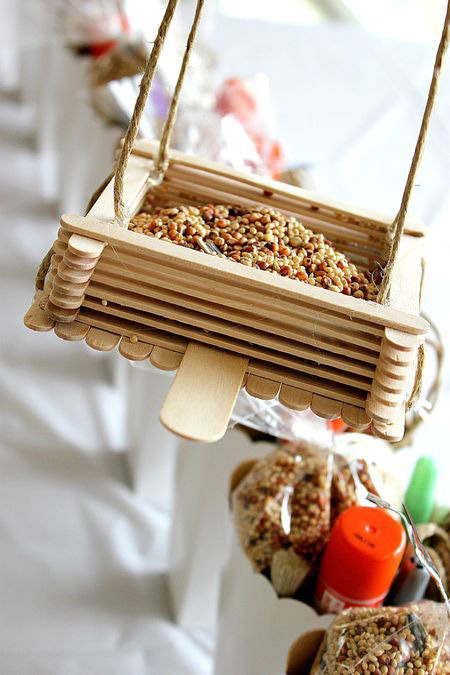 Bird Seed Feeder from Esprit Cabane. 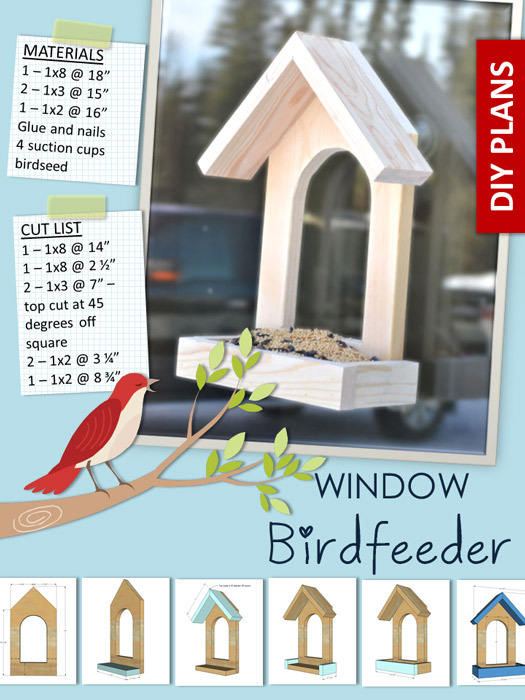 Window Birdfeeder DIY Plans from Ana White homemaker. 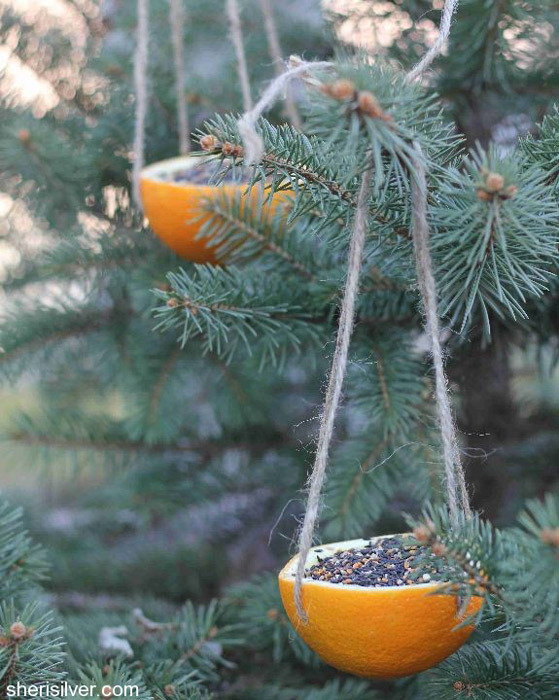 DIY Bird Can Feeders from Plum Adorable. 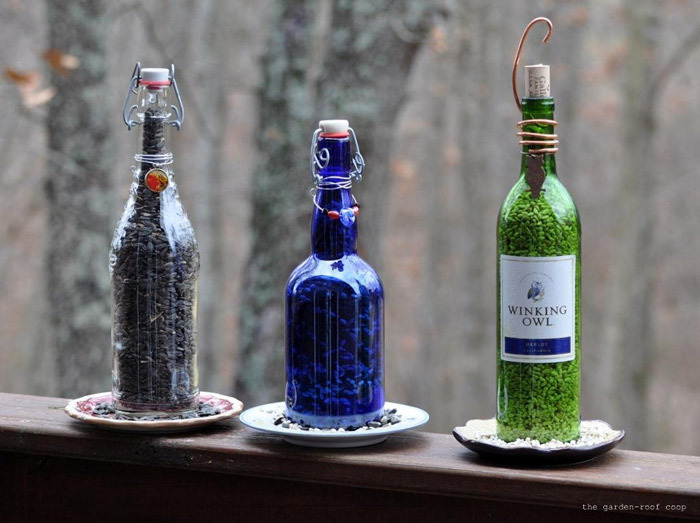 DIY Wine Bottle Bird-Feeders from The Garden Roof Coop. 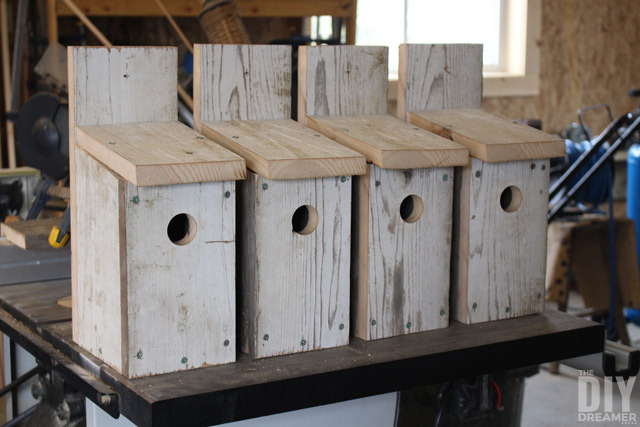 DIY: Chick-Feeder or Bird-Feeders from The Garden Roof Coop. 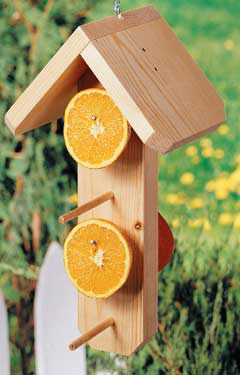 Easy Oriole Feeder from Birds & Blooms. Acorn Bird-Feeder Tutorial from Tried & True. 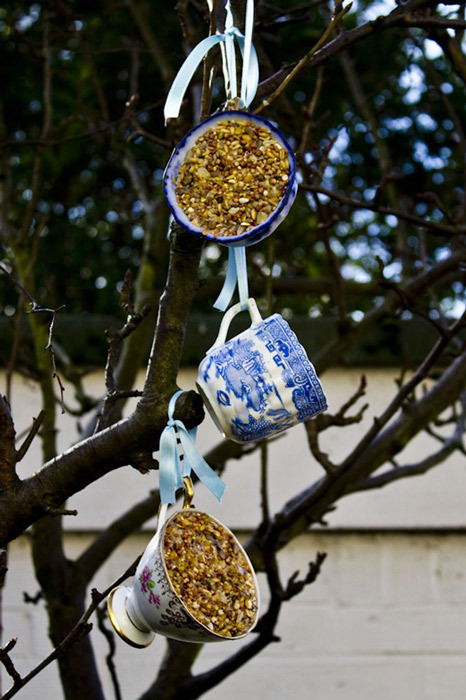 Upcycled Bird-Feeders with Found Objects from Junk Market Style. 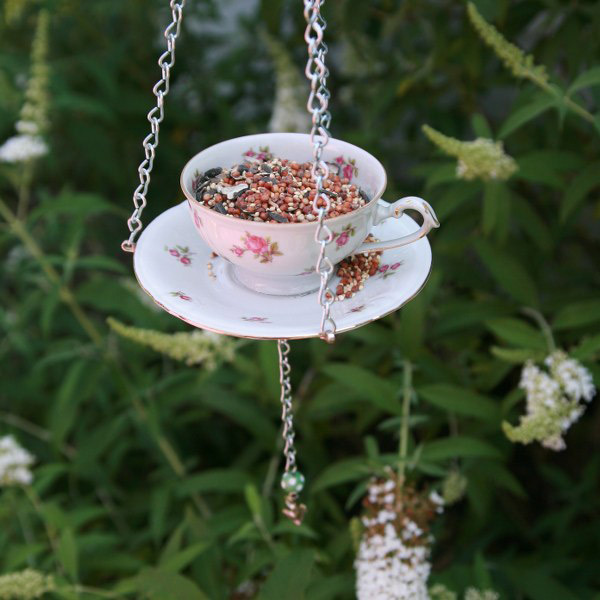 How to make your own vintage teacup bird-feeders from The Natural Wedding Company. 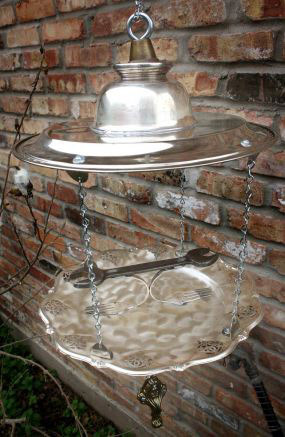 Upcycled Silverplate Bird-Feeder from Junk Market Style. 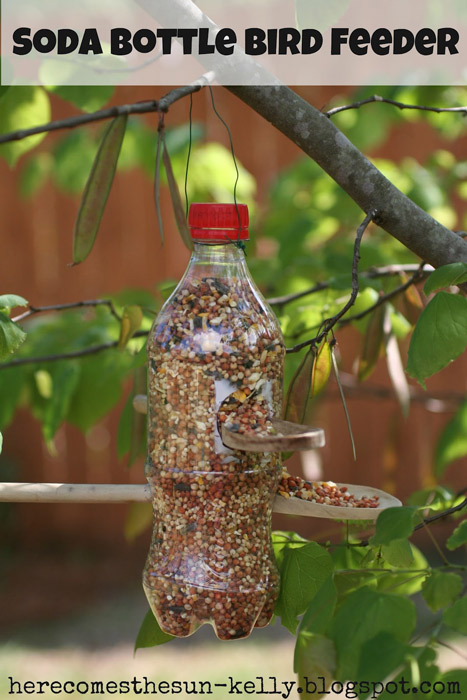 Recycled Bottle Birdfeeder from Centsational Girl. DIY Teacup Bird-Feeder from My So Called Crafty Life. Orange Bird-Feeder from Sheri Silver via Donuts, Dresses and Dirt. 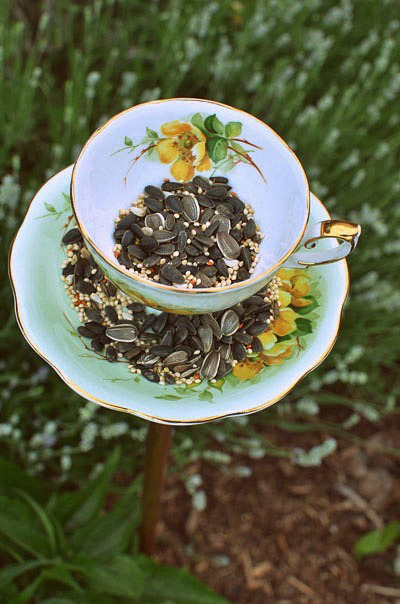 Homemade Bird-Feeder from Vintage Teacups from Intimate Weddings. Repurposed Upcycled Bird-Feeder from Gadget Sponge. 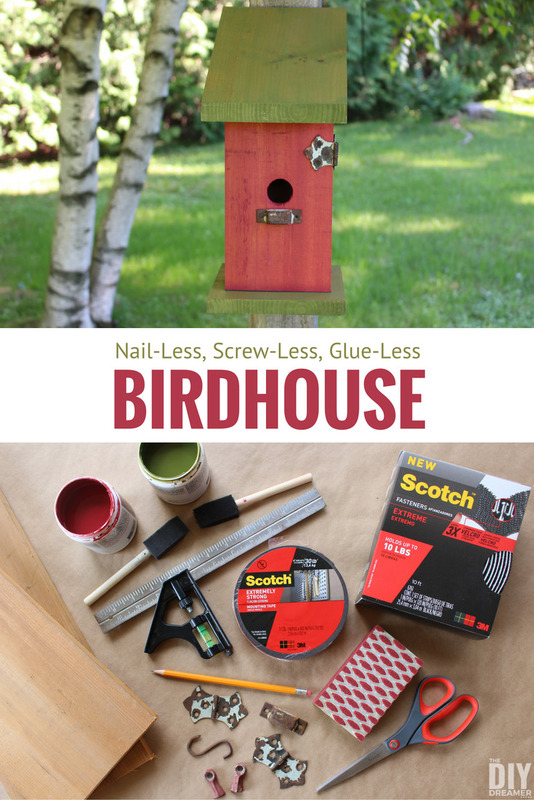 How to build Bluebird Bird Houses from theDIYdreamer. 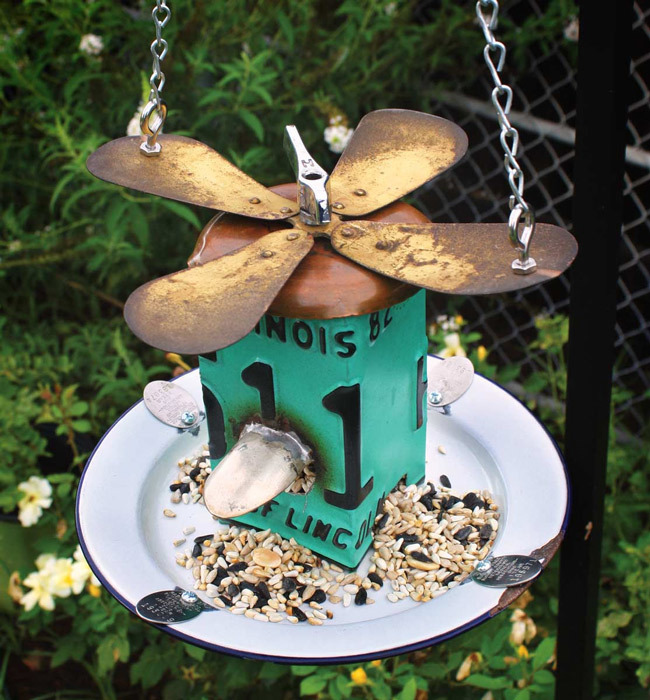 Aren’t these bird feeders AMAZING?! I hope they have inspired you! 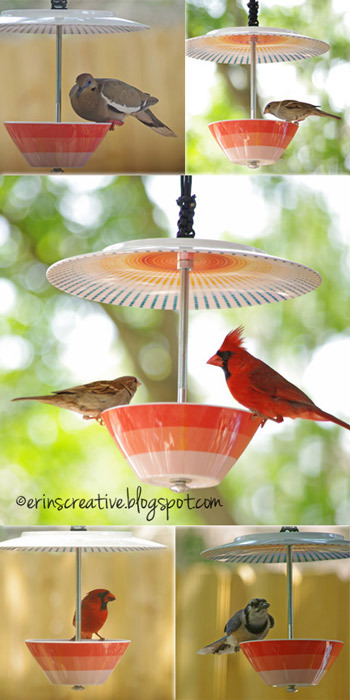 I love birds and I find bird-feeders are a great way to see them up close! What a great collection! I’d love to do some but we have a squirrel problem! Great roundup! There are some really great ideas up there! 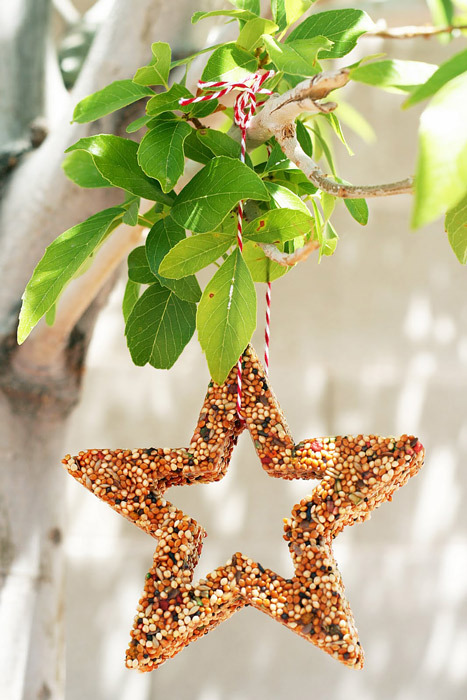 Most wonderful ideas for bird feeders! So creative and inspiring, thank you for much Christine, great with all those wonderful ideas, maybe a weekend project, YAY. have a great one yourself! 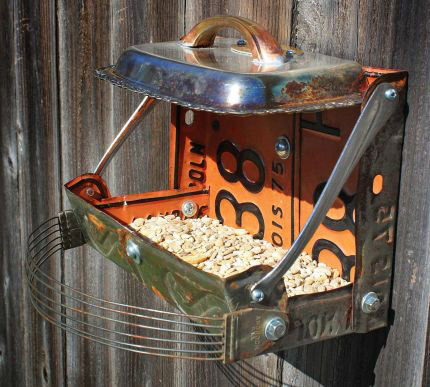 What an inspiring round up of bird feeder ideas! The window one looks like so much fun. I know my kids would LOVE to see the birds hop up to our living room window for a snack. 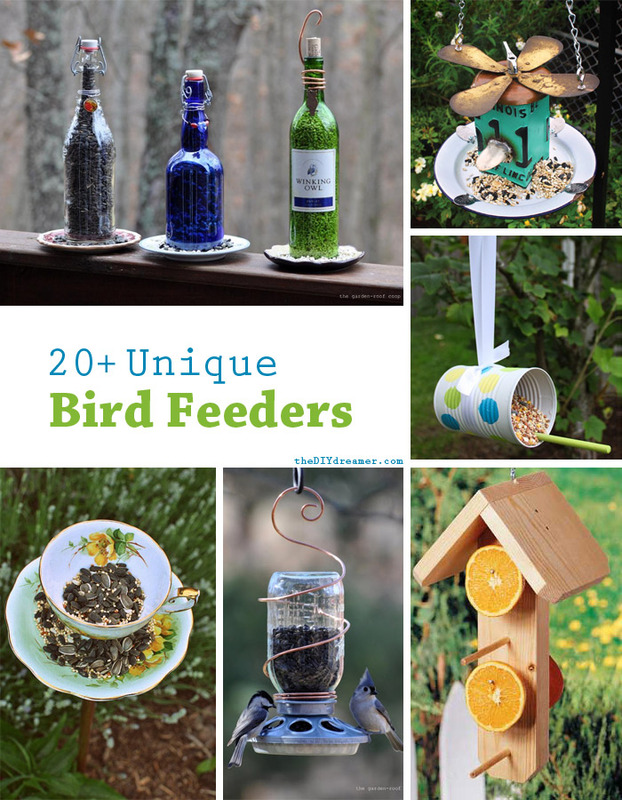 They have definitely inspired me…I love bird feeders and can never seem to have enough!! I would love for you to link up at SHOW-licious Craft Showcase. Thanks so MUCH for including a few of my repurposed / upcycled bird feeders! You’re site and content is very refreshing. Bird feeders are definitely one avenue that I really enjoy creating. Keep up the great work! I love the orange peel bird feeder! They are all so cool! Cute post! I LOVE birdfeeders. Thanks too for featuring mine. Hava a wonderful weekend. I like the can feeders the best! Thanks for sharing at Pinworthy Projects. Ohhhh…I love this. Beautiful ideas. 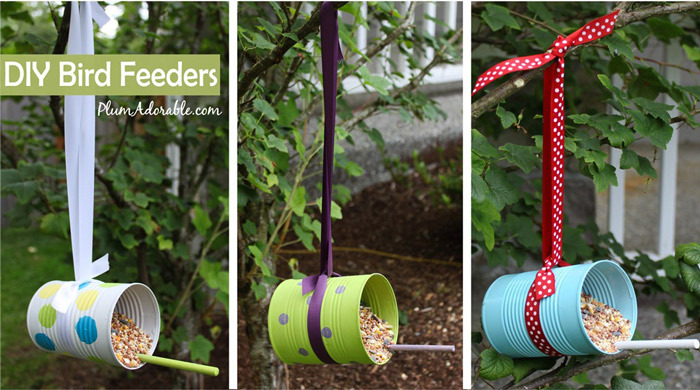 I bet my little ones could help me make one or two of these feeders, too. 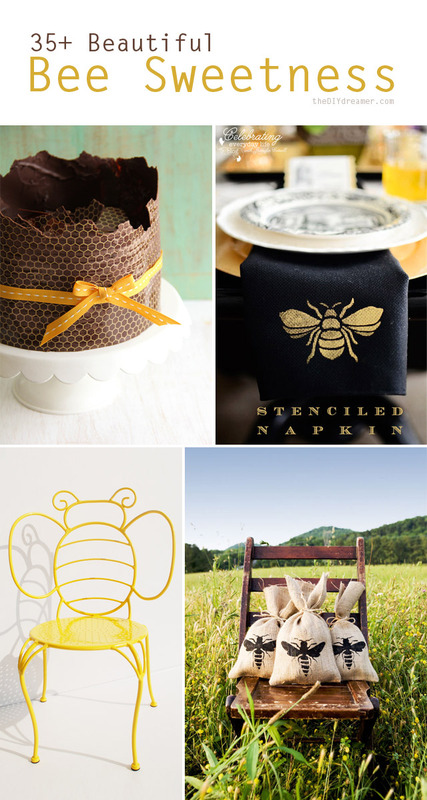 I’d love for you to share this at my Spring Bucket List. I love all the bird feeders. Thanks for the inspiration! I think my favs are the tilted teacup and the polka dotted cans! 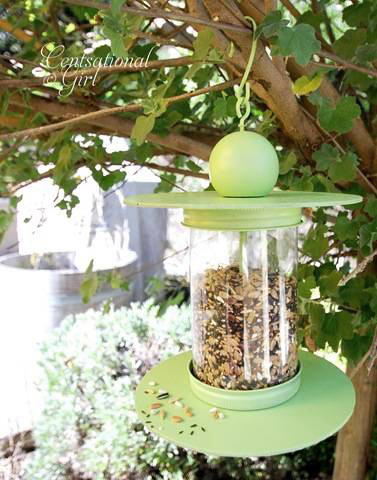 Thanks so much for including our teacup bird feeder Christine. Lovely round-up! Wow! These ideas are all so cute. Thanks for including mine! These are fab! Love the star and the tea cup. This was a great roundup. It gives me inspiration for the restyling for my dad’s back deck. 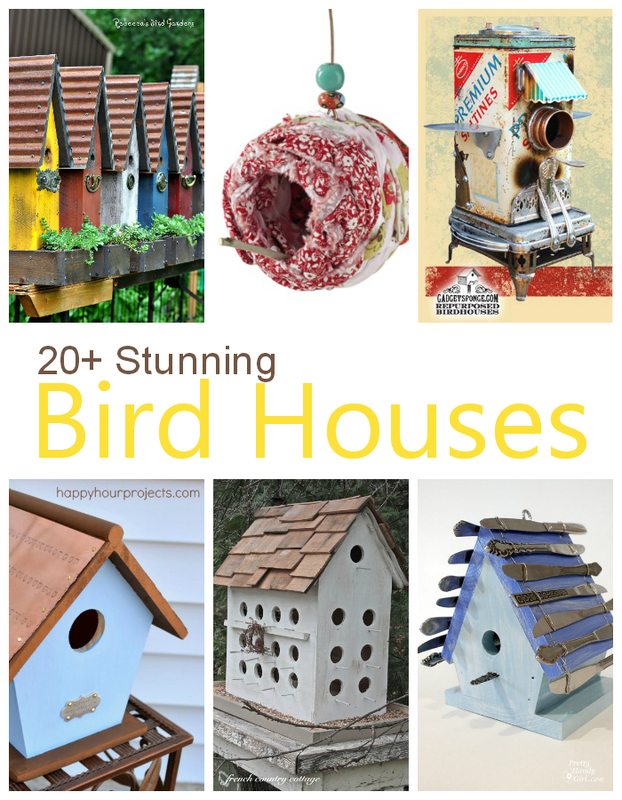 I love having birds in my backyard, quite a few of these are going to be attempted soon! I was hoping that you could share this post on my Sunday Link Party!! I’ll host it every week, and welcome you! Great roundup! I love all of the ideas and have pinned them. I can see I will be busy this summer making the birds happy! Oh my! I love so many of these! Thanks for bringing them all together in one place! These are all so freakin’ cute!!!!! I’ve gotta make one – if only to drive my kitties crazy ahha! 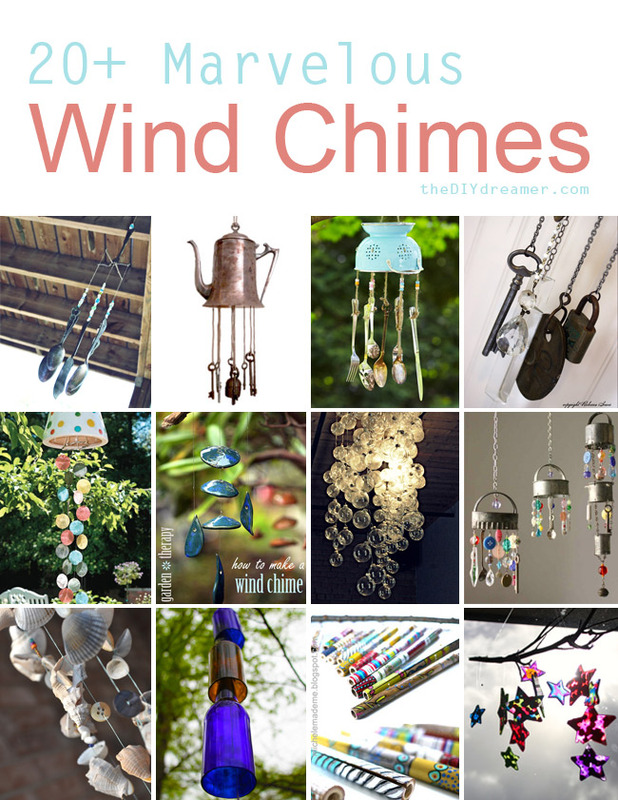 What a great list of bird feeders! My personal favorite is the Acorn bird feeder! But all are very creative. I really like the bird feeders. The problem we have is the sparrows and dove are bullies and actually run off the other birds, Cardinals, Blue Jays, finches, wrens etc.